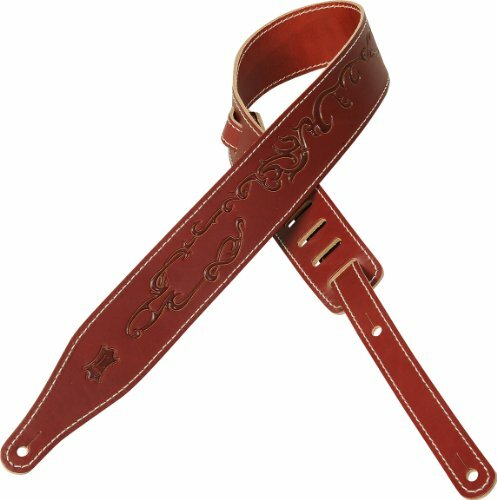 2 1/2 inch carving leather guitar strap with tribal design embossing and decorative cable stitching. Adjustable from 41 inches to 54 inches. Also available in extra long (XL), which adds 12 inches to overall length. 2 1/2 inch carving leather guitar strap with tribal design embossing and decorative cable stitching. Adjustable from 41 inches to 54 inches. If you have any questions about this product by Levy's Leathers, contact us by completing and submitting the form below. If you are looking for a specif part number, please include it with your message.